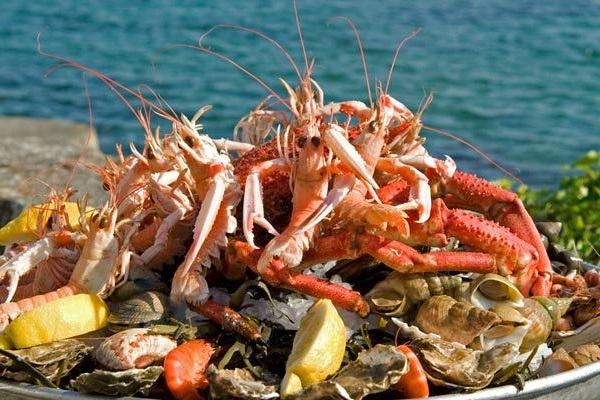 With over 4,000 kilometres of coastline along the Mediterranean Sea, the English Channel and the Atlantic Ocean, France boasts a fascinating variety of seafood products. The bounty of the sea, combined with our rich culinary history, has yielded a treasure trove of recipes so delicious that it would be a crime not to taste them. And since we know that for foodies the hardest thing is choosing, we've put together an assortment of traditional and novel products from both the Mediterranean and Atlantic shores so you can try a bit of everything. 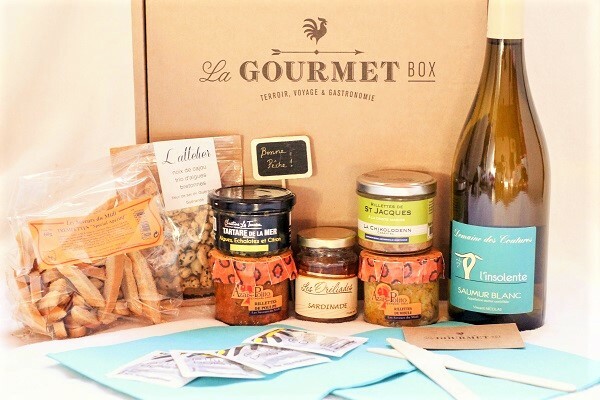 This gourmet gift box will let you sample the best of what France's coasts have to offer, inviting you to cast off on a delicious nautical adventure with friends. And to make the experience a complete success, serve these tempting morsels with the surprising white wine we've selected, a delicious Sauvignon Blanc. Dive in! 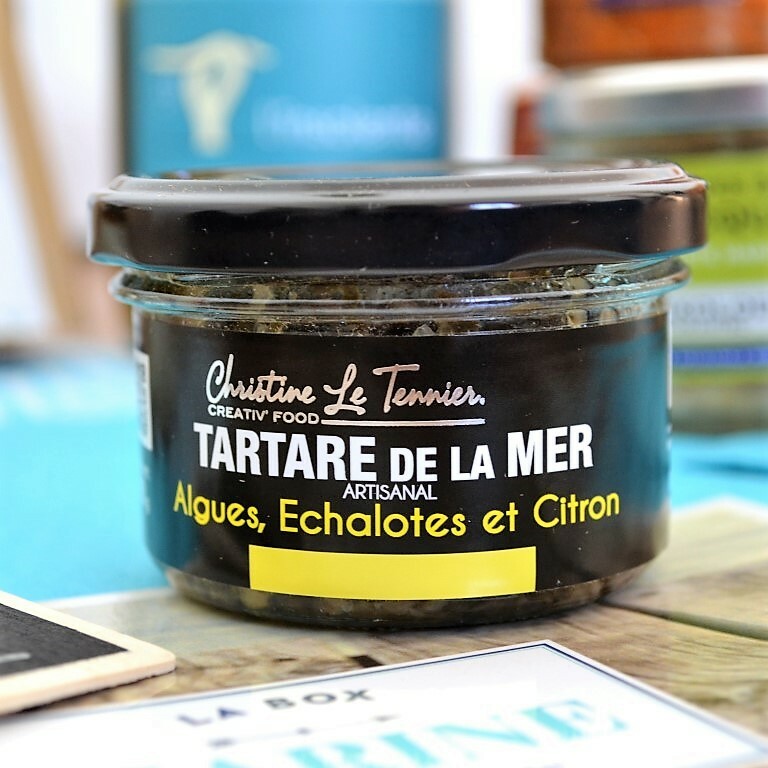 A gift box packed with the flavours of the sea for a grand evening of French hors d'oeuvres. Winery: Domaine La Tour Beaumont. 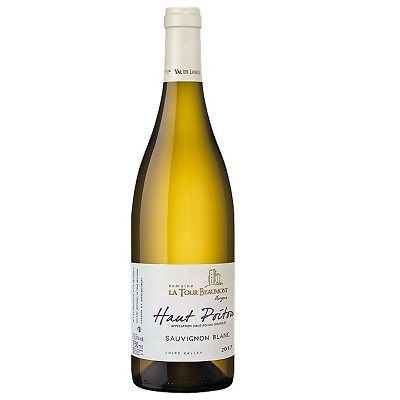 Though not widely known, the Haut-Poitou AOC (controlled designation of origin) label boasts several hidden gems, starting with this Sauvignon Blanc, whose intensely fruity aroma and citrus notes won the silver medal at the 2017 Concours Général de Paris. In the mouth, it strikes a nice balance between freshness and fullness. This delicate, fruity, delectable wine makes an ideal aperitif. Recommendations: serve chilled between 8 and 10º C; pair with seafood, exotic and spicy dishes, sushi, cold cuts or farmer’s cheese. Artisan: Le Goût de Bretagne. Our artisan, Goût de Bretagne, only uses fish and shellfish from local Breton auctions, those of Roscoff and Saint Quay Portrieux. 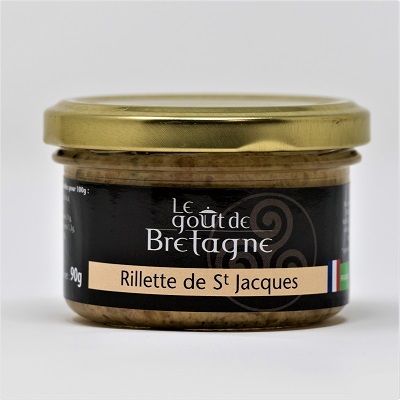 Made the good old-fashioned way, these organic rillettes of Saint-Jacques (scallops) are prepared according to an authentic recipe from a Breton family cannery with all-natural products, a 100% Breton delicacy you can fully taste in mouth: the rillettes manage to preserve all the finesse and freshness of scallops, a true delicacy! Spread on a slice of good bread, our organic scallops’ rillettes will bring ocean freshness to your table, no doubt! 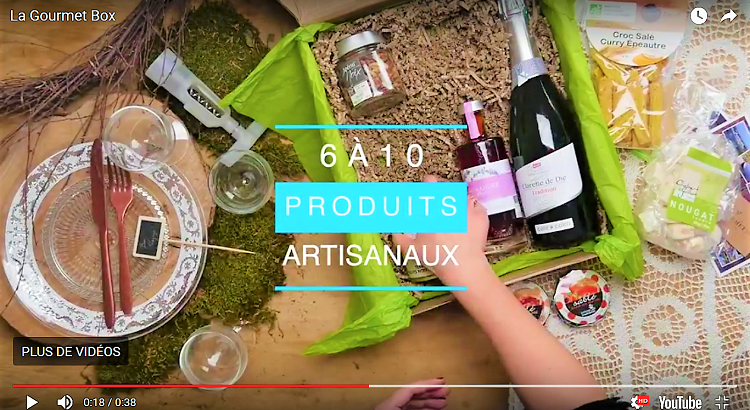 Artisan: Conserverie artisanale Les Mets d’Aimé. 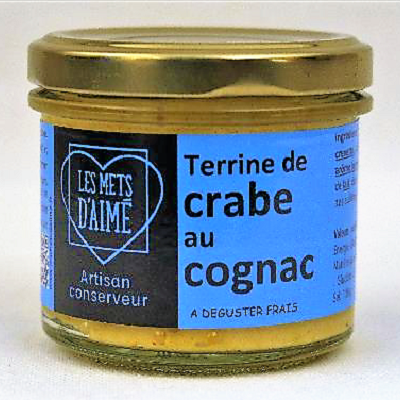 Les Mets d’Aimé, a pair of passionate artisan canners, delight foodies with their tried and true family recipes made from meat and seafood with no preservatives, artificial colouring or added sugar. They are firmly committed to the Clean Label movement, guaranteeing the use of natural, healthy, unadulterated ingredients. We absolutely loved the texture and flavour of this crab terrine with a delicate hint of cognac, a signature liqueur in this part of France. 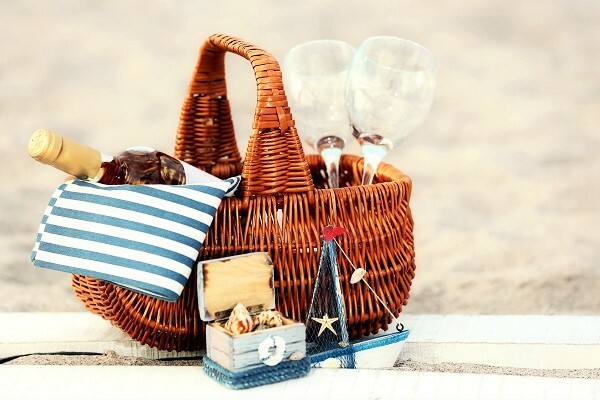 Washed down with a glass of Sauvignon Blanc from your gourmet box, it’s a little taste of heaven. Producer: Conserverie Artisanale La Chikolodenn. These artisan canners of traditional Breton recipes are named after the bonnet once worn by the women of Saint Pol de Léon in northern Finistère. 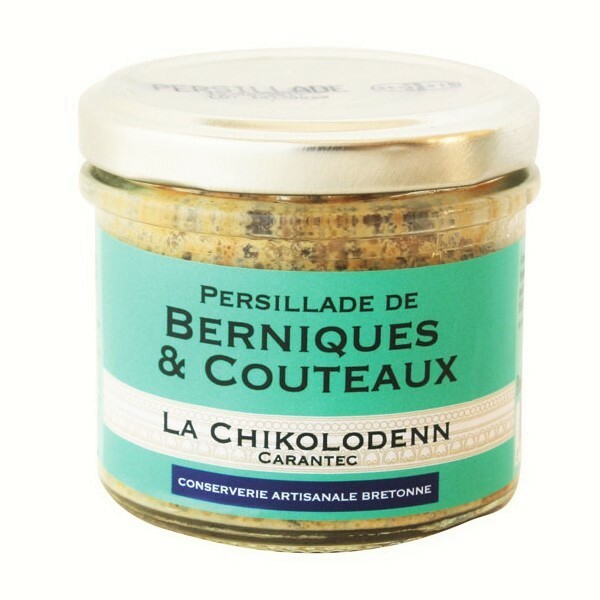 The persillade we've selected is a creamy, mousse-like spread made of parsley, garlic, oil, limpets and razor clams that’s guaranteed to impress. Perfect as an appetizer spread on toast with a lemon wedge on top. Or, if you want the full Breton experience, serve it hot over a baked potato. A unique fusion of ocean spray and Mediterranean sunshine! 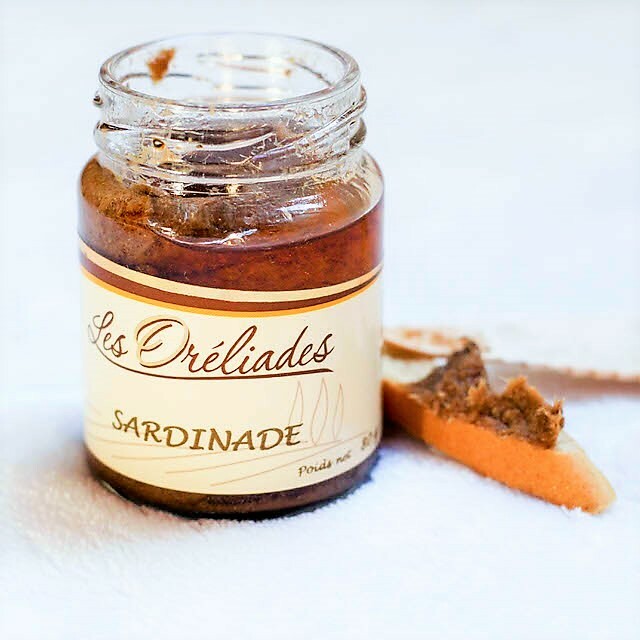 This sardinade is a savoury paste made from natural organic products: sardines, black olives, capers, and not much else. Perfect for spreading on toast or dipping with raw veggies (cucumber and carrot sticks, for instance), it’s a classic tapenade with a fresh, salty twist. At this small shop in Guérande, a town in southwest France famed for its butter and salt, every product is made using traditional methods and all-natural local ingredients. Nuts are the common denominator in every recipe, but they add sugar, caramel, spices or condiments to create a wide range of flavours and textures. 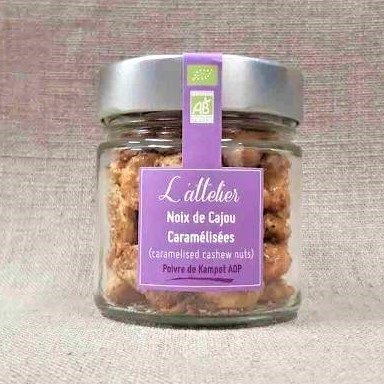 For our box we chose organic caramelized cashew nuts seasoned with Kâmpôt pepper for their originality (a change from the more conventional cashews), surprising taste (the pepper-sweet contrast is outstanding) and super-extra-crunchy texture. 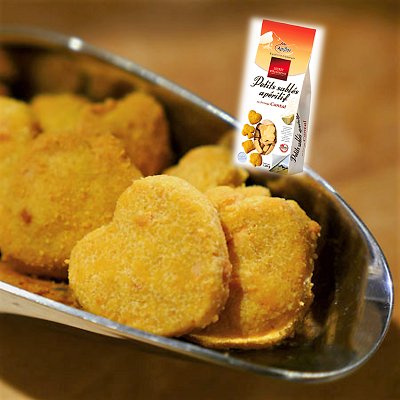 These sinfully delicious morsels are too tempting to resist. PLUS, WE’VE INCLUDED A FEW LITTLE ITEMS TO MAKE YOUR GOURMET MOMENT EVEN MORE ENJOYABLE—BUT WE DON'T WANT TO SPOIL THE SURPRISE! Je suis fan de vos box mais la Marine est je crois ma préférée, sûrement parce que je suis bretonne... La présentation est magnifique avec tous les petits détails qui sont un vrai plus au niveau visuel (la carte postale est superbe, les serviettes assorties avec le papier de soie, les rince-doigts etc....) et les produits sont un vrai délice, et très variés. Je recommande sans hésitation.